Thought I’d grab a quick minute to share our trip to Broome, Australia. If I could choose one word to describe the trip, it would have to be relaxing. The weather in Broome is very tropical island-like, warm and humid. . . the perfect weather for lounging around the pool. That’s where Sterling and I spent most of our time at least, and I think most of the demonstrators spent a fair amount of time there as well. We did have a few planned gatherings—our welcome dinner and reception the first night, a fascinating camel ride with swaps and treats another night, and then our final event (dinner and movie shown on the sails of a nearby boat!). I think some demonstrators did a little sightseeing and shopping in the market as well, but for the most part, relaxing was the main activity! Several demonstrators mentioned how nice it was to just relax, with nothing that had to be done and nowhere specific to go. That doesn’t happen in our lives very often, and it was fun to see demonstrators enjoy that rare opportunity. And, of course, it was also fun to visit. I recognized everyone who earned the trip, so it was delightful to reconnect with familiar faces and spend time catching up and getting to know each other even better. 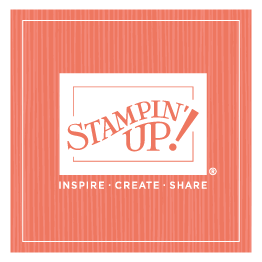 That’s always a high point of any Stampin’ Up! event, and Broome was no exception. And now we’re here in Germany and focused on our European Convention. . . . it’s going to be another great week!